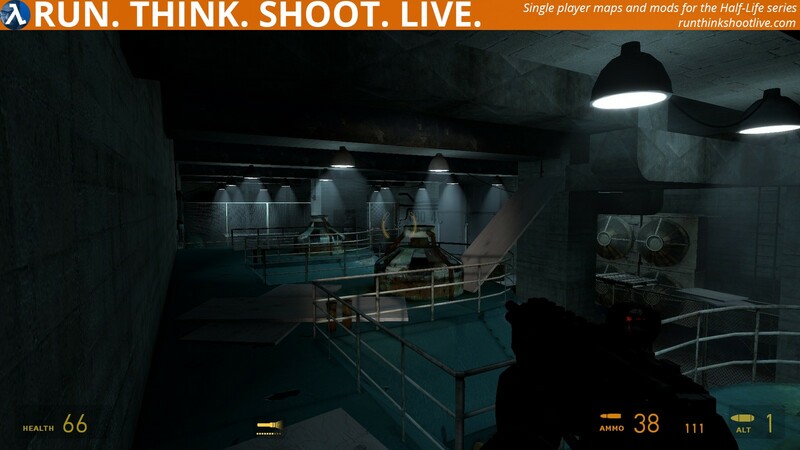 Copy quiet_rehabilitation_2.bsp into your …\Steam\SteamApps\common\Half-Life 2\ep2\maps\ folder. Open the console and type map quiet_rehabilitation_2 and now press ENTER. Part 3: The dark areas at the end. I very much enjoyed part 1. There were puzzles and combat. Both were well designed and fun to play. Part 2 looked fun at first but I had to cheat. I spent 20 minutes trying to get past it, but if you start with low health it seems too unfair. The whole section is nicely built but there is just not enough movable wood around. Part 3 had two faults, one it was too dark and a little repetitive and secondly the final battle was boring. I very much dislike this type of scenario and I successfully hide on top of the generator and picked off the enemies. I have been called many names for doing this, but as a single player who doesn’t like or player MP games or mods, I feel that this style of defence is not much fun. I also feel the ending could have been a little more positive. Overall, I quite enjoyed it but not as much as the first release. Well, there was a “to be continued…” at the end. Maybe the third installment won’t be so negative. I, too, thought the electrified water was challenging. But careful strategy and patience will get you to where you need to go. I can’t wait for the next map from this author. I see real potential. Thank you Phillip for reviewing my map. I understand your frustration on those dark areas, but I was forced to develop this way once you shut down the main generators of that sector. Perhaps I could have added a couple of more emergency lights to light up the path to the player – I’ll keep that in mind. I knew few players would have difficulties to pass through the water section and I’m very sorry. I tried my best to make it as easier as I could. I still appreciate your review and will take into consideration for my next map! Bad puzzle aspects: In the beginning it took me an minute to spot the pad-look on the ohter side of the door, I wasted my ammo on the boards which block a door in the next room instead. Later I couldn’t find the entrance to the vents because the wall on which these were locatet were do dark. The rest of the puzzles were quickly solvable for me, and i never got stuck again. The combat is exactly like I want it. On medium difficulty with the revolver and crossbow and without trying to hart. The combine behaivor seemed to be improved in this map, they are not armed untill you atack them and they do not unresonably charge at you one by one. I felt there was now too much repetitive backtracking, or at least there was for me whilst I searched for the wheel. Again, the following areas seemed well thought out but something just didn’t click with me, somehow. I don’t know why. Perhaps because yet again it was far too dark? Anyhow, blowing the door using the explosive barrel was great, though what’s up with the turret which had no ammo? The electrified water parts where awesome. I absolutely loved this whole scene and we even had more light. Yippee!! Yes, I was happy and I thought the map design was superb and lead you along very nicely. I continued like everything that follows this part but it was never as good because of the lack of lighting ruined it for me. My eyes got sick and tired of this and it only gets worse the further you progress. Disappointing, I thought in this respect and it only helped to ruin the end battle which I thought was umm okay but far too dark. Totally OTT. A good map which could have been great but the darkness ruined what would have been a brilliant adventure. Thank you very much for your review! You weren’t the only one complaining about having problems to see the vent in those rooms. I should have added some extra lighting to let player know there’s something there he can check it out. I’m really glad you liked the combat system I did for this one! Runs under Linux without Problems. But too dark for me…. Wow! I never expected Quiet Rahabilation to continue with another map! Exciting! But sadly, this is not as good as the first part of this. And i’ll explain why. I made a review for part one, and it appears that the mapper got a bit carried away because of my review, because at one point i mentioned that “I don’t remember seeing any flickering light. For an abandoned sector, it seemed too lit in my opinion.” And thus, this second map is much much darker, to the point where it gets repetitive. This isn’t like in HL2 Episode One, where you have some small sections underground that are solid black. In this, 75% of the areas you’re going to go are completely dark. And there’s no generator switch/power box to light them up, which is the reason why this is worse compared to the first one. If everything was properly lit, heck if it was lit just like in part one, it would have been much more well received. Something else I did not like is the generator room with the electrified water. Almost everything you touch is hazardous and will deal damage. Even the generators will hurt you upon touch, which makes sense, but can get really annoying. At least there are supply crates around that will heal most of the damage caused by that. The rest of the gameplay is very good, especially the puzzle during the beginning, i really adore that. The visuals are very well made, the mapper once again did a great job to make those maps feel like you’re in Nova Prospect. In part one though, it felt EXACTLY like Nova Prospect, because a lot of the geometry was copied from it. In QR2, the similarities are not exactly in your face like in part 1, but it doesn’t matter, because in this you’re supposed to be far away from the main sectors of Nova Prospect, so obviously they should look different. Something else i want to point out is how the mapper used env_soundscapes this time instead of ambient_generics for the ambient sounds. But well…Those aren’t superb either, due to the fact that most of the time you will only hear one single sound in the background. Usually a soundscape sounds convincing if it plays 2 or more sounds at once, especially if the pitch has been modified to make it sound like a new sound. Not to mention that you are also able to make a soundscape play sounds at specific time periods. 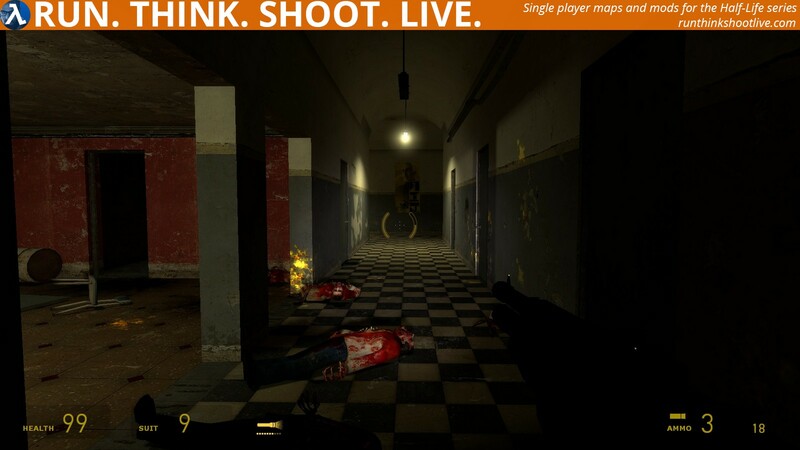 For example, you can make it so that between 1 and 2 minutes you will hear a combine soldier in the distance dying. This wasn’t the case here, where I only remember hearing that once during a zombie fight. I don’t know if that’s just me, but when i hear only 1 sound in the background i feel like it would have worked better if there was nothing at all. Being able to hear something loop over and over again becomes annoying very quickly. With a lot of sounds on the other hand, you will most likely not be able to listen when each sound repeats. This is a very good map, despite the disadvantages. If I rated this “Maybe” or “Play it Later” I would regret it in the end. 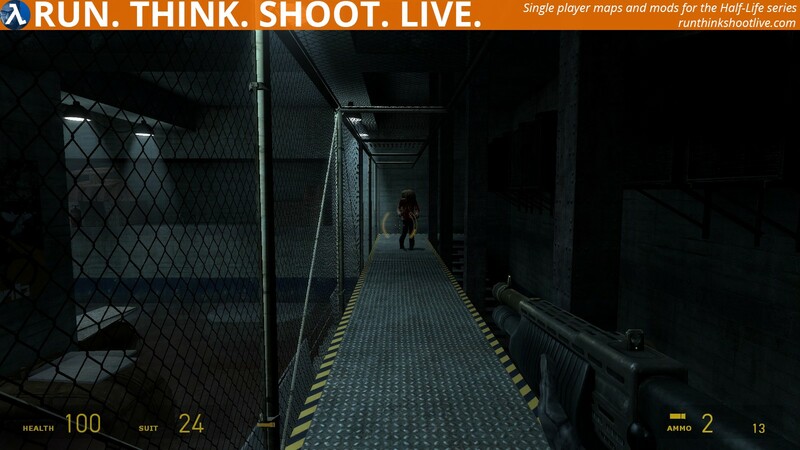 The mapper has great potential, and it amazes me how he/she continues these maps all alone. It’s quite undeniable that 1 person can’t be a perfect mapper and a playtester at the same time, so when maps get released like this, they will not be perfect. Not to worry at all though, i’ve seen mods that are way worse than this. I would rather play a mod that is short but interesting and entertaining just like this one instead of a long, chore-to-play one that will frustrate me more than to satisfy! Don’t ever, ever give up, continue creating maps if you love doing so! Even if you release Quiet Rehabilation 9 or 23 or 46 or 100 or anything, I would still try them out and review them afterwards! That goes to any mod or map, as long as they are polished and playtested properly! I admit I laughed at the first paragraph. I’m so sorry and it wasn’t supposed to be on the way you think! I remember your excellent review and I did my best to make this second part as much abandoned as possible. 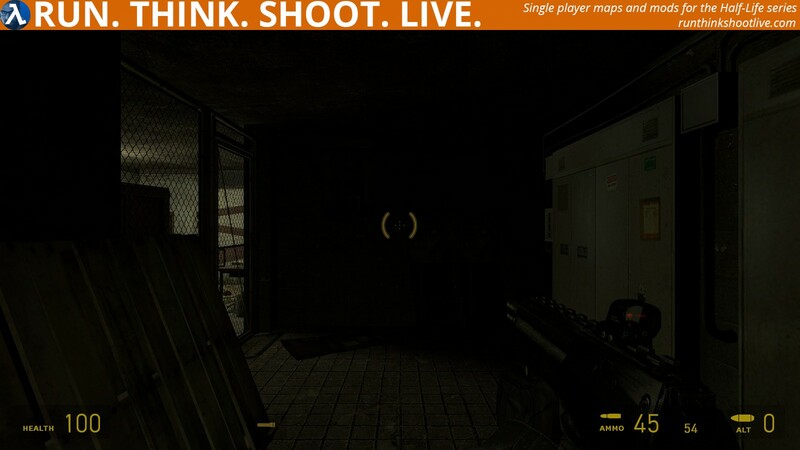 However, the main cause leaving almost half of the map into the darkness is because you’ve shut down those generators. I knew some people would complain about the complete darkness but I was forced to leave that way without making the player annoyed by that. I left some areas with few emergency and “exit” lighting as a save tho. I still appreciate your lovely review- seriously. I’m glad you’ve once again played and reviewed my map. 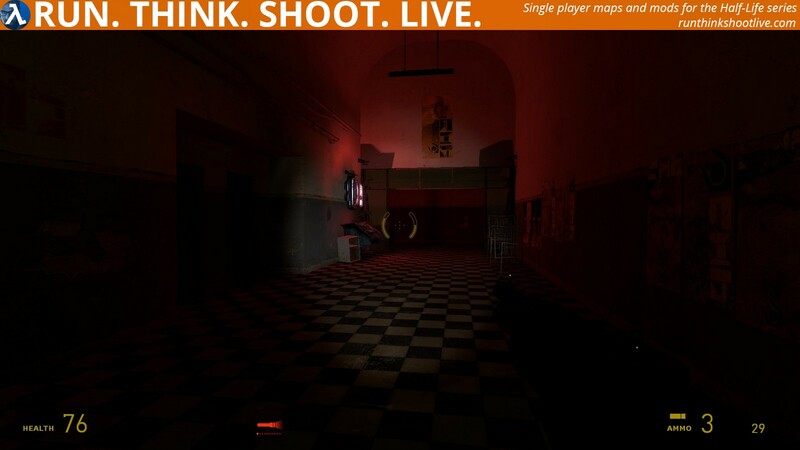 I’ll take your feedback into consideration for my next map for sure! I love making these series and maybe the third will be the last. It’s a decent little map. I liked the exploring at the beginning and even the electrified water. I managed to get past it with at least a little health left which was good enough for me. The combat area where the gate slams down and you can’t get through had me stumped for a little while until I finally figured it out, which is just the right level of difficulty IMO. If you get the answer right away it’s too easy and if you give up in frustration it’s too difficult. So I liked that part. Unfortunately the ending was not very fun as it is repetitive combat in close quarters and I was running out of ammo. Enemies were spawning out of nowhere in side rooms which made no sense at all. Apart from the ending I enjoyed playing this map. Thanks for your feedback! Glad you liked the first part of the combat where combines block the passage, leaving the player a bit lost and not knowing where to go for a while. Strange you complaining about not having too much ammo. I really added supplies and ammo inside the cellblocks and before it. I’ll keep that in mind. 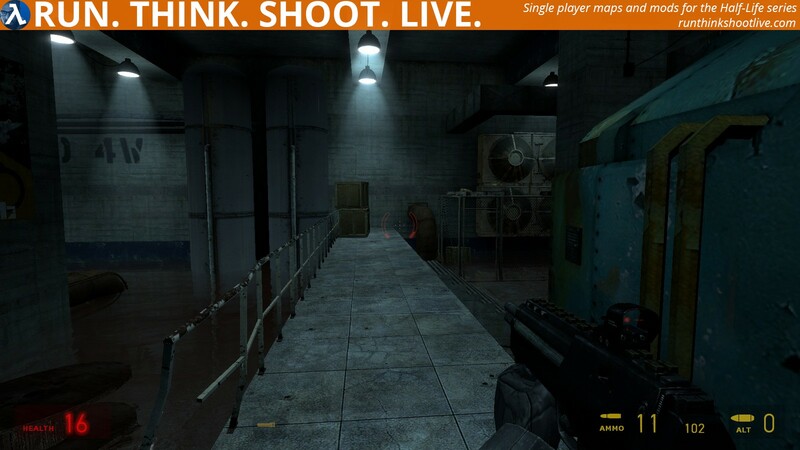 I love the gameplay and level design that was put into this map. I had an enjoyable time not only shooting combine soldiers and zombies, but also solving some puzzles as well. Such as one part where you had to ignite an explosive barrel to open the door was definitely I think was a nice touch. However, there were some problems that I need to say about this map. Like what others said, the darkness kind of made my experience a bit dull. 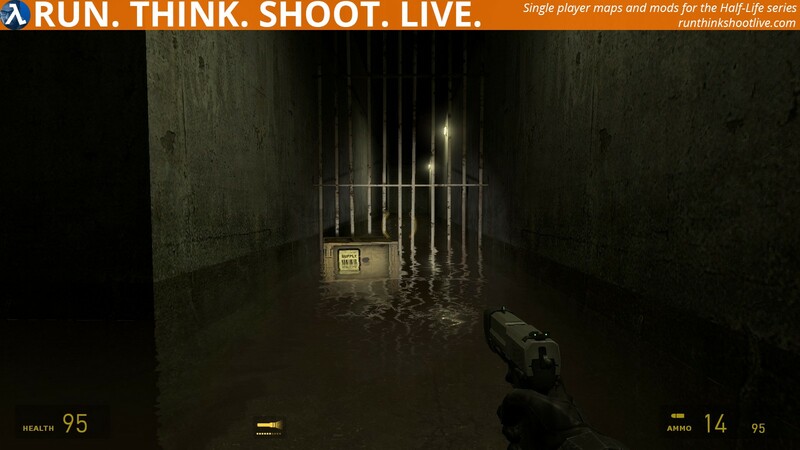 I know that it’s useful for specific situations like that one room where you need to navigate through the flood generator room in the dark after deactivating the electricity, but you don’t want to do it too often to other areas. 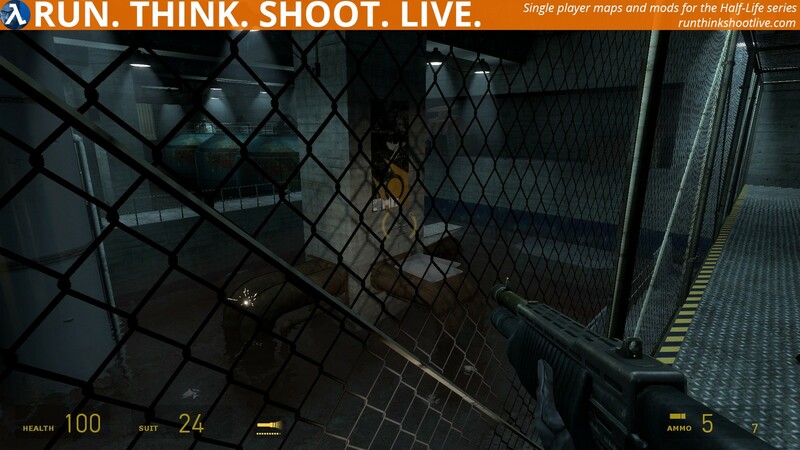 An example of this is in the final area where you have to fight zombies and soldiers while you wait for an elevator. 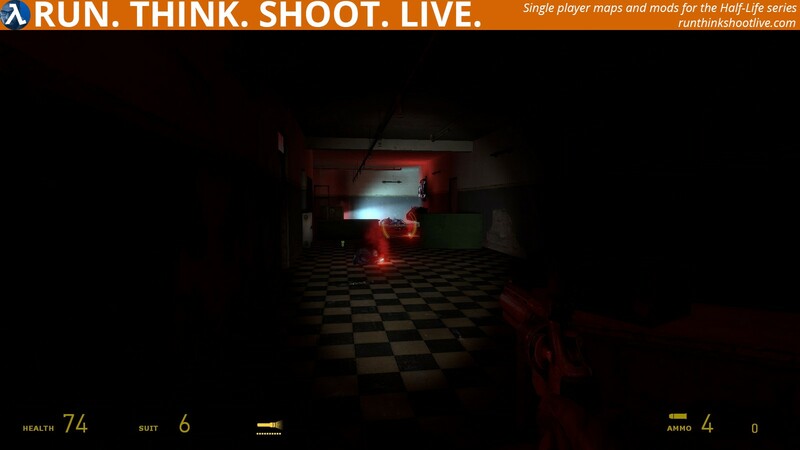 The darkness was what made it so distracting since you can barely see what’s going on and where your enemies are. 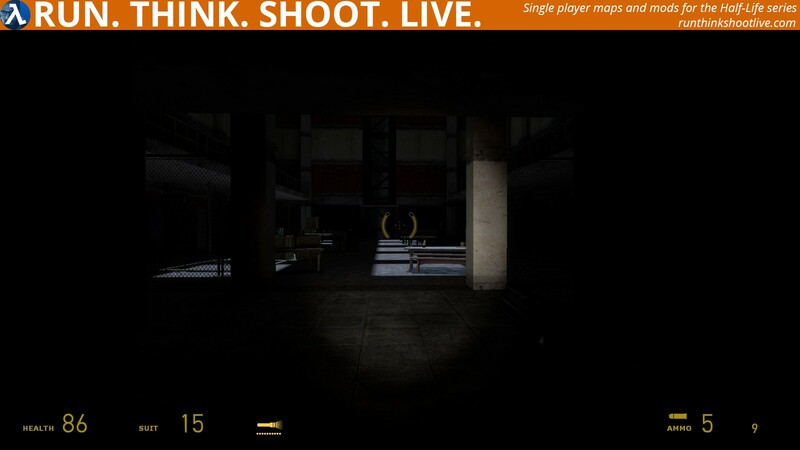 If only a few lights were added to some areas of the map, it could’ve been more enjoyable. Overall, it’s still a good map. Tabajara did a decent job creating this and having played the first map before, I look forward for his third part! I know there are some things in this map that many people may not like, and that’s mainly the dark areas and the electrified water section. Despite all this though, I enjoyed this map the same way I enjoyed the first one. I didn’t really mind the electrified waters, but I know for a fact that many people aren’t that good with Source engine platforming. 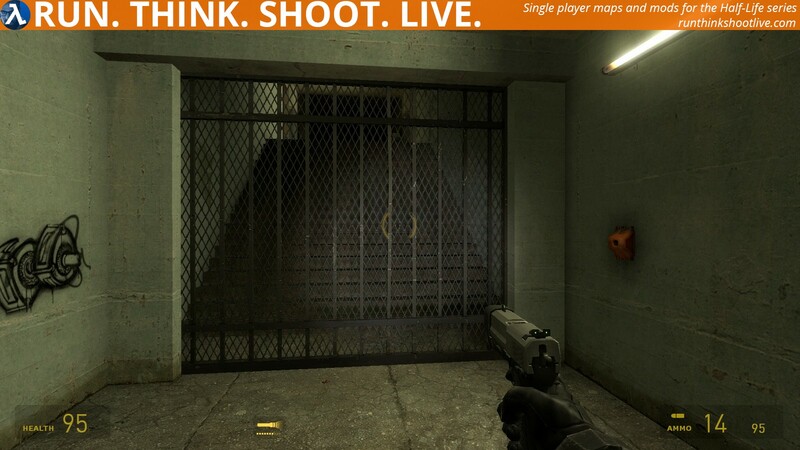 I personally thought it was a nice way to have more variety in the map, and the fact that you can’t touch steel or metal is very smart! At first the dark areas were really annoying for me, but eventually I got used to it. Apart from these “serious” issues, the map itself felt very similar to the first one, and that’s not a bad thing at all! 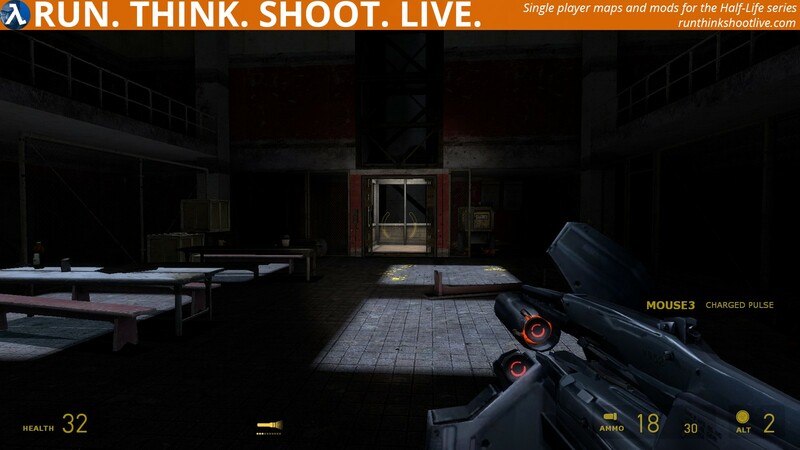 That means the mapping is very well done, that it really feels like you’re in Nova Prospekt and that you’re gonna have a great time with the combat! The last area was something that I expected, but I thought it was okay. Overall, if you don’t mind the platforming or the dark areas, then definitely give this map a try. I’m waiting for part 3! Ok, a sequel. What do we have here….. The first part of the map was OK, at best. The vent crawling did not bother me that much, the backtrack was alright, and the vent encourages exploring. The turret “jumpscare” got me good. It was probably the best part. The steam valve location was quite clever, but the valve that’s beyond the steam should not be there. In my opinion, it distracts you from finding the actual valve. Also, why do we have to shoot off the plank, go back and shoot the explosives, and go back again? Quite unnecessary. The electrified room was alright, but it’s very unforgiving. 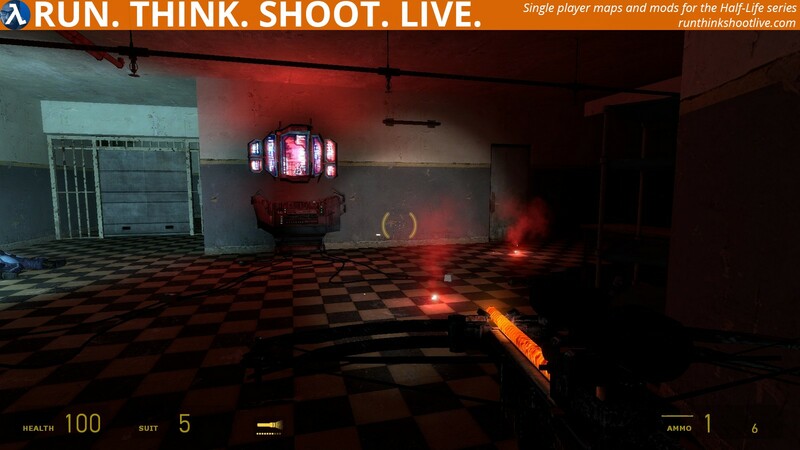 Should you have too little health, you have almost no chance to make it to the control room. The propane tank puzzle in the room has one flaw: it depends on the props’ orientation. Gravity Gun would do the job well, but because you don’t have one, you have to pray that the orientation is correct. The final battle has, in my opinion, too little health and (I think) no armor provided at all. I see one battery behind the bars but I don’t know how to get it. The final battle could be better if I could see a little more clearly. 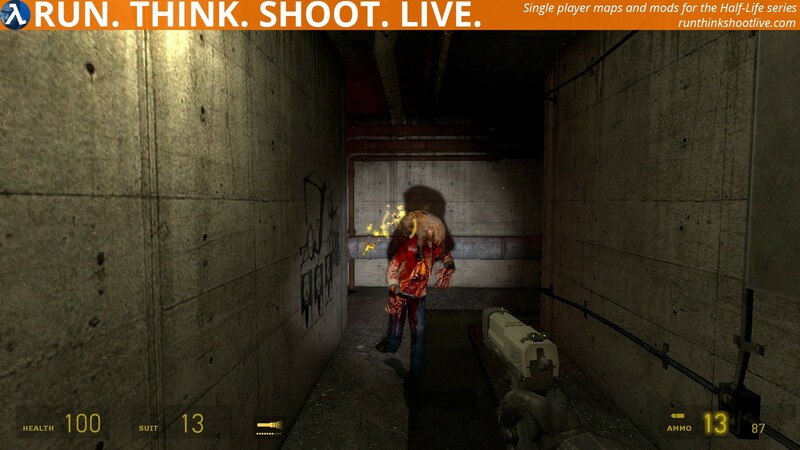 I like the idea of letting the zombies and Combine fight each other while you occasionally intervene. Version 3 has been uploaded and linked to in the post. It’s mostly cosmetic but there are some gameplay changes too. I had a lot of fun playing this. It was a very shocking experience. Almost too much. It had very good layout. It looked liked it could be a real location. The puzzles were good. Some very hard to spot. A padlock here, a vent there, a valve or crank over there. I found them but it was hard. The combat was fun. 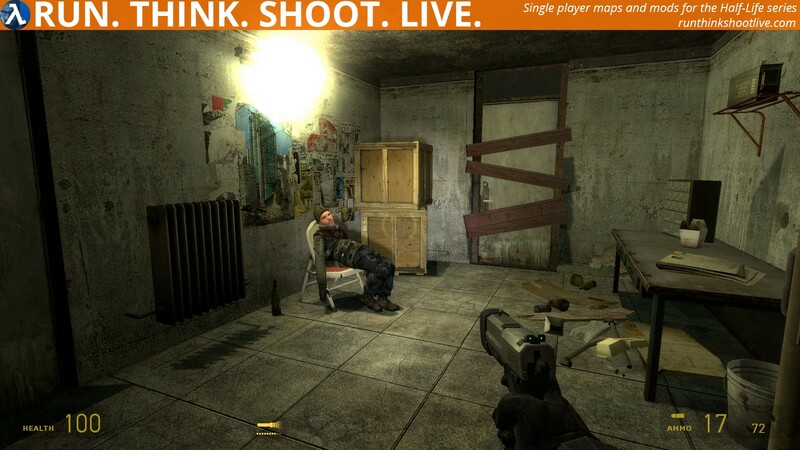 Don’t waste ammo or you will get wasted. 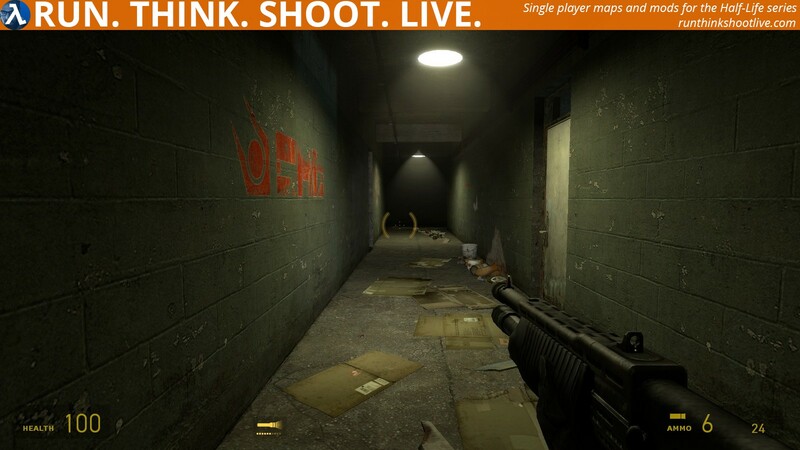 There is plenty of ammo and health, it is just living long enough to get to the next cache. I was just getting started and it ended. It was just a tad too dark for me. That may have more to do with my aging eyes than the map. In fact, I turned 60 today. Happy Birthday to me with another fun map. 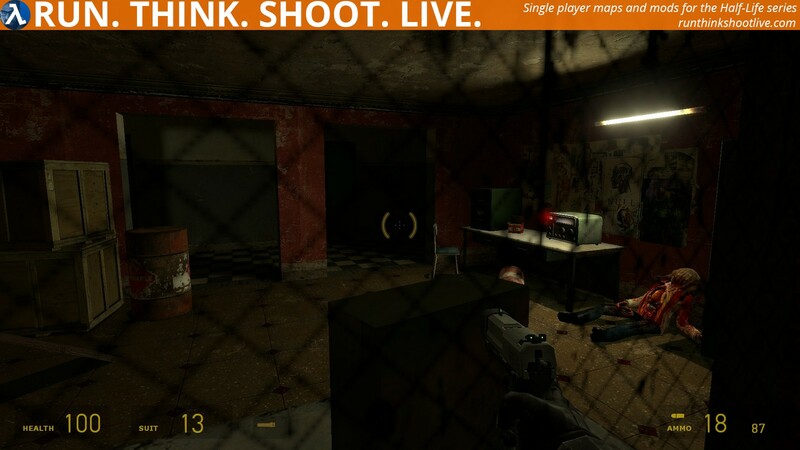 This map makes you think, shoot and bash. Go for it now! Just like the previous Quiet Rehabilitation, this one has amazing level design, visuals, combat, exploration etc. I’m not really going to go in depth with that. One of my favorite things from this mod was the jump puzzle with electrified water, you know what I mean. What I liked was that you need to jump on wood because things like metal are electrified as well. One thing I didn’t like about that jump puzzle was one part where some wood things come down so you can jump on them. The idea is clever, but the wood things kind of randomly fall down, so sometimes they will land very inconviently so it’s almost impossible to get to the other side without getting damage. The final battle was a bit boring since you can just sit in a corner and wait till the numbers of the zombies and Combine have decreased so you can easily kill the last ones left. Yesterday I’ve played Quiet Rehabilitation 2 while I even haven’t touched Quiet Rehabilitation ‘1’ yet. Where’s the logic in that, huh? Anyways, on to the map! Overall, I thought it was a decent release. 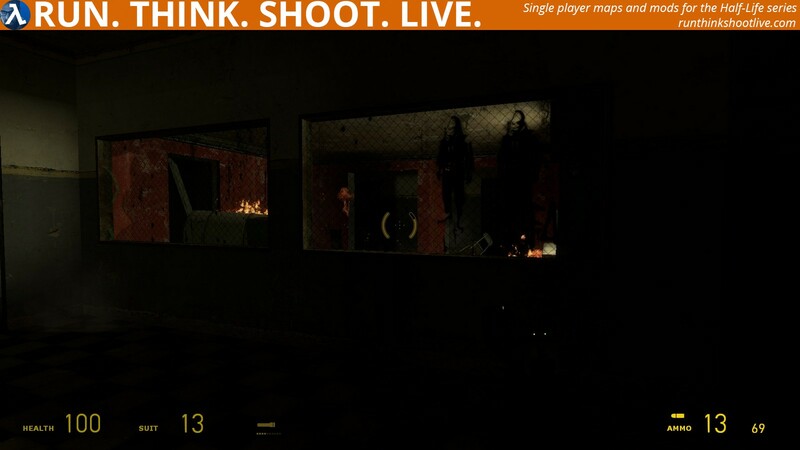 The map is quite dark (sometimes a little bit too dark) and has a slightly unsettling atmosphere throughout. You’ll get rewarded for exploration and the enemies provide a mostly balanced challenge for me personally. However, the way to progress wasn’t always clear and I got stuck a couple of times. The ‘crucial’ vent to progress was hidden too well and the solution to the steam pipe further in the map was also somewhat confusing; I zeroed in on the large turning wheel behind the steam while I actually had to turn a small turning wheel in a corner. Despite these cons, I fairly enjoyed Quiet Rehabilitation 2 and I’ll certainly give Quiet Rehabilitation 1 a spin on the short term!